In their most recent filing the U.S. authorities have mentioned Grammy winning rapper/producer Swizz Beatz as a potential U.S. representative for Megaupload. In response to Megaupload's motion to dismiss based on lack of jurisdiction, the feds are trying to find a way to serve the company on U.S. soil. Beatz, husband of R&B superstar Alicia Keys, was previously listed as Megaupload's CEO but the authorities say he is refusing to cooperate with the investigation. 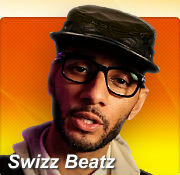 On the day Megaupload was shut down, the company website listed rapper/producer Swizz Beatz as company CEO. The popular rapper/producer was one of the stars who endorsed MegaUpload in public, and he reportedly recruited several artists for the Mega Song promotion. But despite his strong ties to Megaupload, Beatz was not named in the indictment as a member of the “Mega Conspiracy.” However, now that the case is progressing, Beatz is being involved by the U.S. authorities. In the most recent filing the U.S. opposes Megaupload’s motion to dismiss based on a lack of jurisdiction. The defense team argued that Megaupload can’t be subjected to a criminal prosecution, because the law doesn’t allow foreign companies to be served. However, the U.S. disagrees. United States Attorney Neil MacBride sums up a variety of reasons why it can, and in a footnote it is mentioned that Megaupload previously employed two CEOs living in the U.S.
“After Defendant Dotcom became Defendant Megaupload’s Chief Innovation Officer, the company appears to have employed at least two Chief Executive Officers in the United States: first David Robb and then Kasseem David Dean (also known as Swizz Beatz),” the filing reads. MacBride goes on to state that Beatz officially represented Megaupload before the United States Trade Representative, when it was accused of being a piracy haven December last year. In addition, the authorities have requested Beatz’s cooperation with the Megaupload investigation, which he has refused. “Mr. Dean through counsel has refused to cooperate with the government’s investigation,” the United States Attorney writes. Voluntarily or not, the U.S. authorities believe Beatz may become involved in the case since they view him as one of the individuals through which they can serve the company. “Delivering a summons to Mr. Dean, a resident of the United States, in his capacity as apparent Chief Executive Officer should also constitute proper service of process upon an officer of the company,” the filing reads. Whether the above will help to overcome the jurisdiction issues, and the fact that foreign companies can’t be served, is now for the courts to decide. A few months ago District Court Judge O’Grady already acknowledged that this “issue” warrants further investigation, suggesting that it could be the beginning of the end for the Megaupload case. A case that just got even more high-profile now Swizz Beatz has been dragged into it.